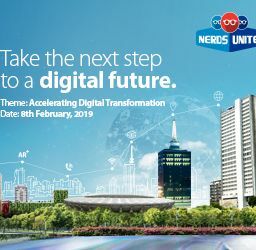 Over 500 of Africa’s most innovative technology minds, from 200+ companies and 10+ countries will convene in Lagos, Nigeria on February 8, 2019 for the annual Nerds Unite conference, a tech event targeted at MainOne’s global, enterprise and start-up ecosystem. This invite–only tech conference will foster dialogue on game-changing technological breakthroughs in the areas of artificial intelligence, cloud and cyber-security and technology start-ups which will be presented at the conference. 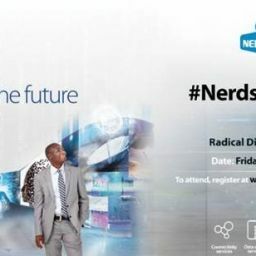 Themed ‘Accelerating Digital Transformation’, Nerds Unite will also host an interactive Connected Everywhere session, with a global players discussing tools, infrastructure and partnerships required to benefit from a connected Africa. Nerds Unite will feature over 20 speakers from global and African tech players who will provide insights into how technology is disrupting Africa, the role of connectivity and cloud services in driving this growth, and the opportunities to digitally transform businesses, economies and nations. Speaking ahead of the event, MainOne’s Head of Marketing, Tayo Ashiru says, “Nerds Unite 2019 will be exciting, with a fantastic line-up of speakers and partners. We expect senior representatives from our global partners, infrastructure providers, enterprises and start-ups who will share insights into the disruptive technologies happening in Africa and the need to upskill quickly to meet the demand of digital transformation within the continent”. With more than 3000+ participants since inception, Nerds Unite provides a platform for major players in the international and local IT industry, key stakeholders in Africa’s technology ecosystem, and IT professionals to network and brainstorm disruptive technologies. The event creates an avenue for deal making, impactful knowledge sharing, and progressive collaboration between local industry experts and thought leaders from global technology companies.